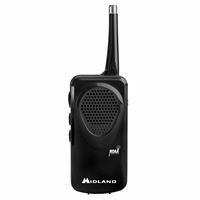 The Midland ER310 is built with emergency situations in mind. 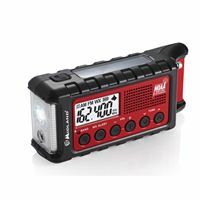 The hand crank digital weather alert radio and flashlight are perfect for severe weather situations or daily use. 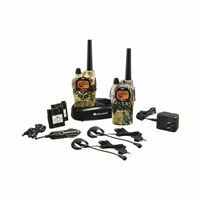 Stay in touch with the members of your group on your next hunting/hiking/camping trip with these long range GXT1000VP4 GMRS/FRS radios from Midland. They include an extra 28 channels for increased privacy, the maximum legal talk power and splashing water won't hurt them. 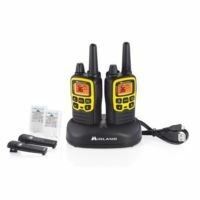 Plus, they include nine levels of VOX sensitivity and an SOS siren allows you to send out distress/locator signals in an emergency situation. 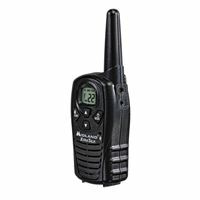 Midway's GXT1050VP4 two-way, 22-channel radios are designed for GMRS (General Mobile Radio Service) operation, in a rugged, weatherproof package. With a range of up to 36 miles and Mossy Oak Breakup Camo finish, they're ideal for your next hunting trip. 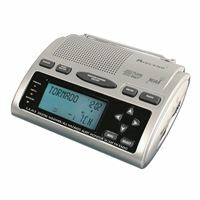 Features include privacy codes, direct/group calling, NOAA weather radio/alert/scan, silent operation, whisper function, SOS siren, and plenty more. Five animal call alerts are also included. Perfect for the outdoorsman. 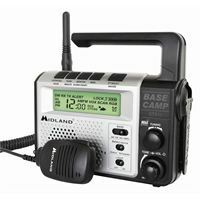 The Midland HH50 compact pocket weather radio that automatically scans to find the NOAA transmitter in the area if available. It will keep you up to date on the current conditions and alert you of any severe weather or a hazards. Stay in contact with Midland's LXT118 two-way radio set. Effective up-to 18 miles of range! 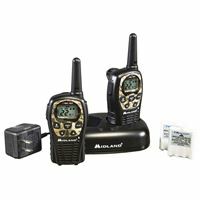 22 Channel radios with a range up to 24 miles. Call Alert. Silent operation turns off all tones. HI/LO Power settings to conserve battery. Keypad lock. Auto Squelch. Requires 4 AAA batteries (not included) or rechargeable batteries (included). Includes belt clips desktop charter AC adapter and Rechargeable battery packs..
Stay alert to conditions that affect you with Midland's WR-300 weather/all-hazard radio. The unit offers S.A.M.E. technology (Specific Area Message Encoding), which preprograms the device to receive only those warnings that apply to your local area--you can choose state, county, and/or nearby counties. 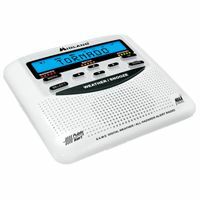 The single-speaker radio offers 30 programmable county codes, AM/FM tuning, date, time, alarm functions, and even auto switch from AM/FM to pertinent all-hazard alerts. For tuning, the radio employs drift-free PLL (phase-lock loop) technology. Midland's XT511 is a durable GMRS emergency crank radio with a wealth of features to keep you informed, charged up, and in contact no matter the situation around you.